Before No. 2 arrived, I was looking out and considering to purchase a double stroller. I eventually did get the Contours Tandem Stroller when Zara was about 3 months but sold it off after using it twice. It was just too bulky to go out with. 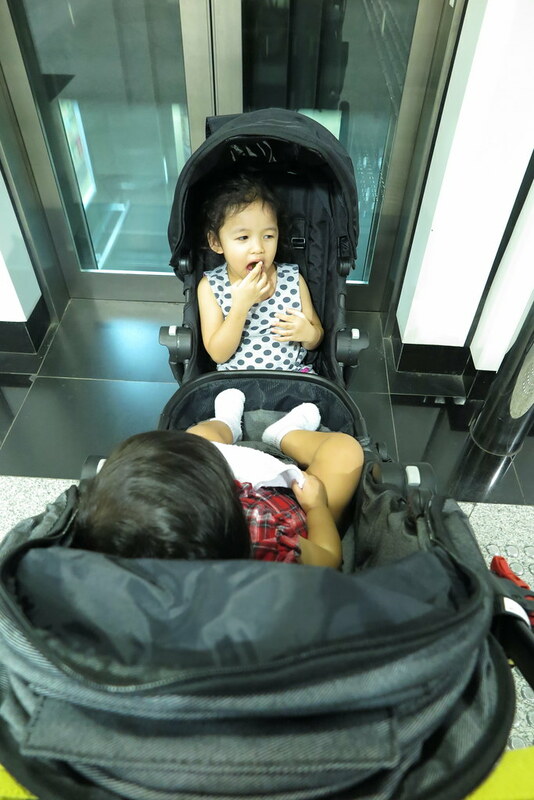 We ended up using a single capella stroller to fit both of them when Zara was able to sit up on her own. Which was super dangerous! I seriously do not encourage anyone to try this at all. Or on days we know we needed both of them in stroller, we bring two with us! When we had a chance to test drive the new City Select stroller by Baby Jogger, I jumped into the opportunity. 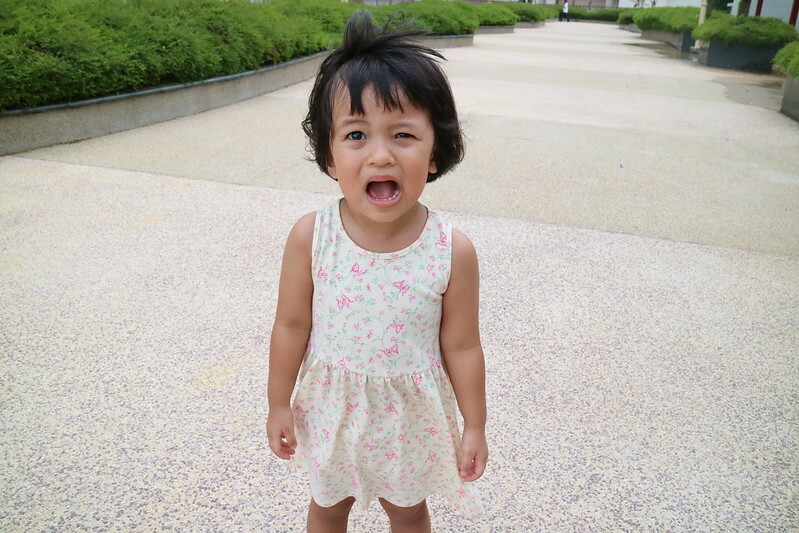 And now Ayra has been asking for it after our two weeks trial! Had to try lots of tricks to get her to accept the ones we have at home instead. Super headache! Let’s start with the not so favourable points of the City Select with extra seat attached. It is still heavy. 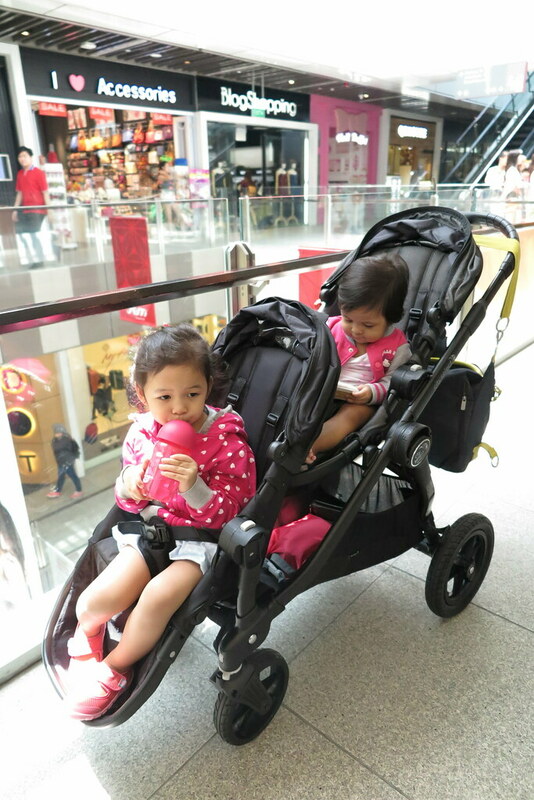 Sometimes heavy stroller is good, cause it means it won’t fall if weight is not evenly spread across the stroller. In this case, we are glad it is heavy and steady, as it gives us better confidence that the stroller can take the weight of both our girls. Storing can be quite a headache. There wasn’t space in the store room at home for this so we had it left opened and stored next to our dining table during our 2 weeks experience with it. The girls use it as seats while watching movies on TV! Getting in and out of lifts can be rather challenging, especially in a packed one. We try to take the cargo or fireman lifts in shopping malls when we were out in the City Select. Lesser crowd and bigger lifts. The girls loved it and could stay comfortable in the stroller through an entire day of shopping, with no cries nor protect. I was rather shocked when we took them out in the City Select over a long weekend when we had to bring them out. Napping in the City Select is not a problem for one or both of them, it just shows how comfortable it is for the child when they snooze off whenever they feel like it, without any effort. 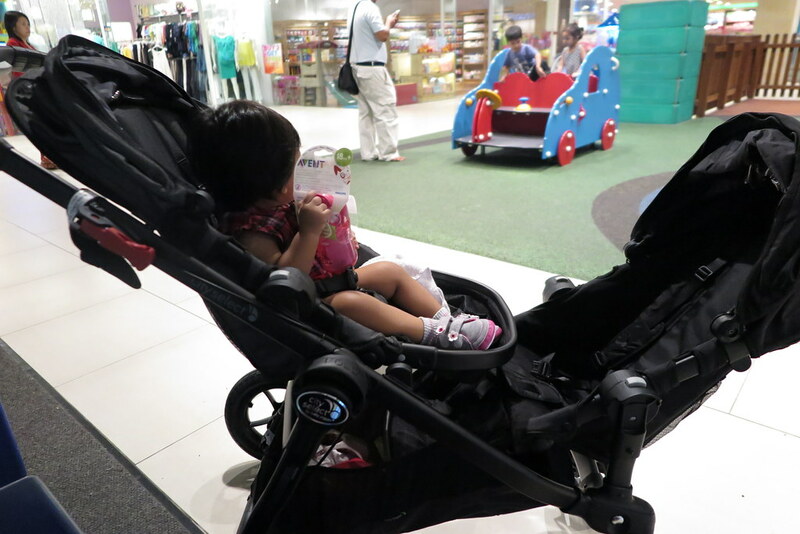 Shopping in malls with City Select is more manageable compared to my previous experience with the other double stroller. This pushes with ease, turns well and is able to fit between shelves in stores. Just to avoid stores like Watsons where things are stacked openly and can get quite cramp between rows of stuff. I even managed a trip to the mall alone with both of them! 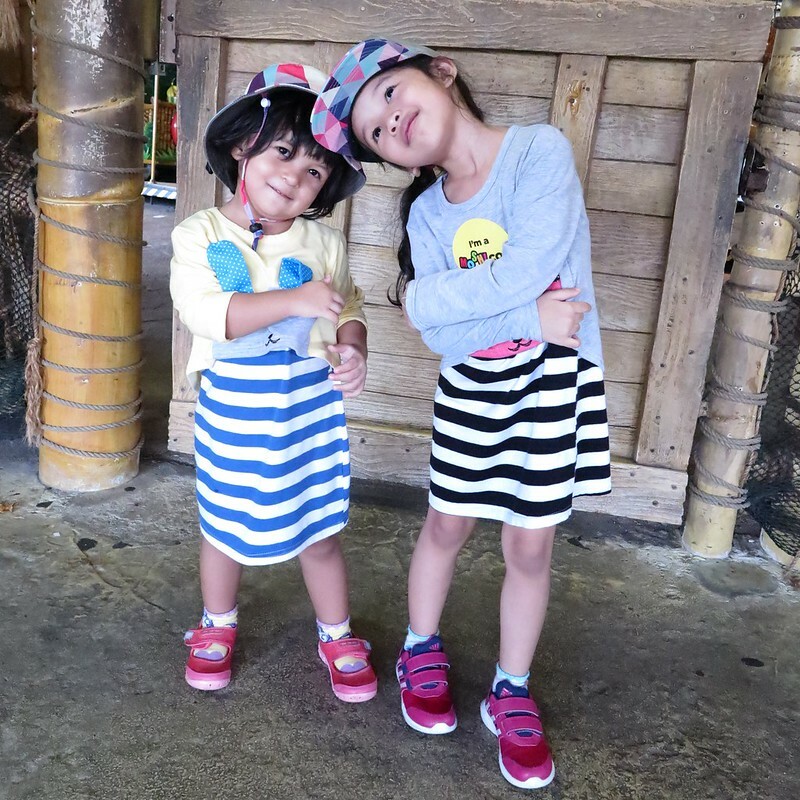 Why you should get a double stroller? Cause mums shouldn’t stop going out just because we have more than one kid! 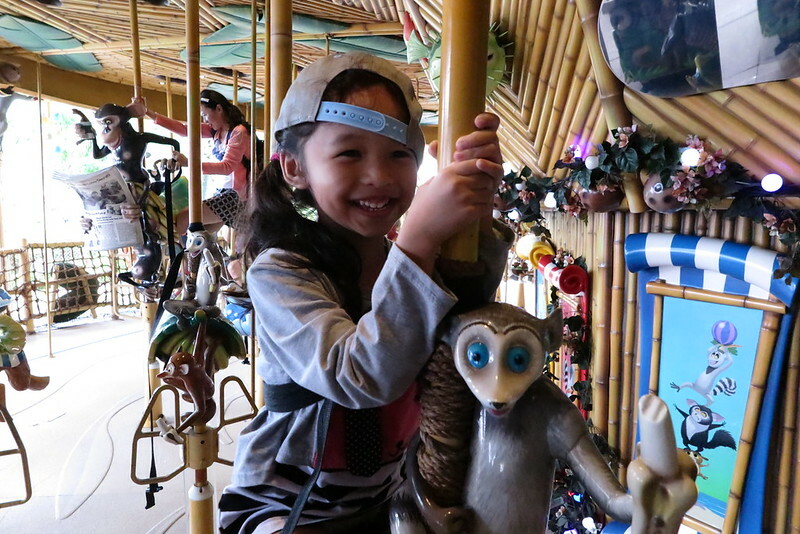 Owning a double stroller means more outing opportunities with the kiddos even when alone. Do get one with big storage space and easy to use locking system. Such a stroller is great for those who do not drive and go everywhere with just the train. 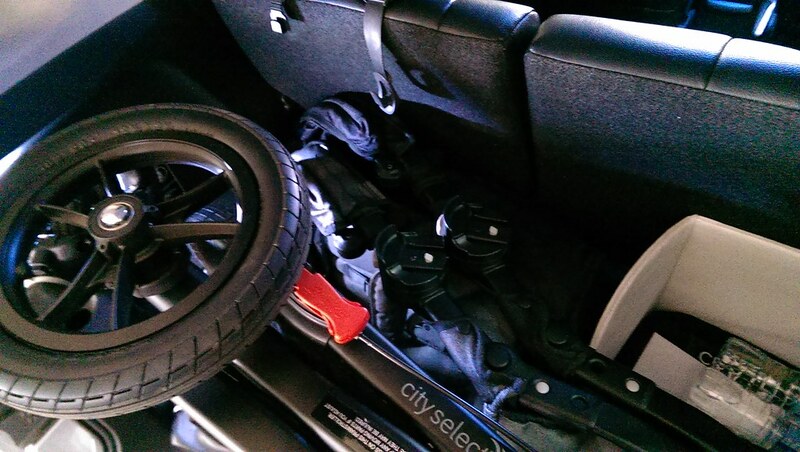 Unlike most of the other Baby Jogger strollers, you got to remove the seats before you can close this one. Not that ideal for those who need to ride in cabs and 100% a no go for those who need to catch a bus! 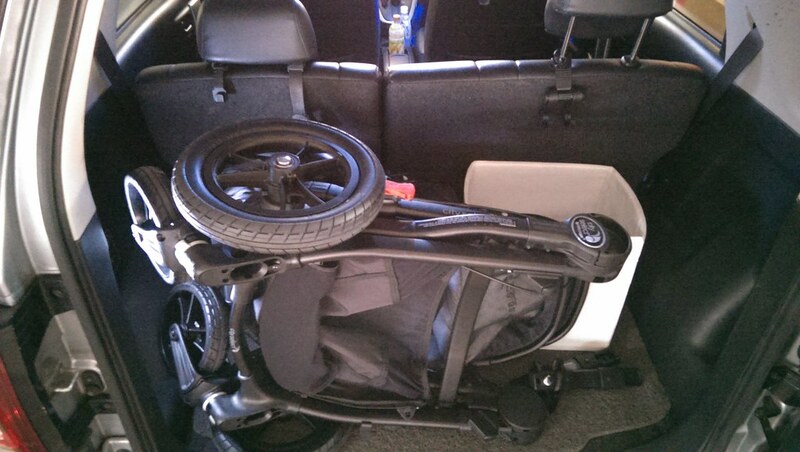 Even if you drive, unless you have a super huge boot space, else the stroller is just going to take up the entire boot with little or no room for anything else. 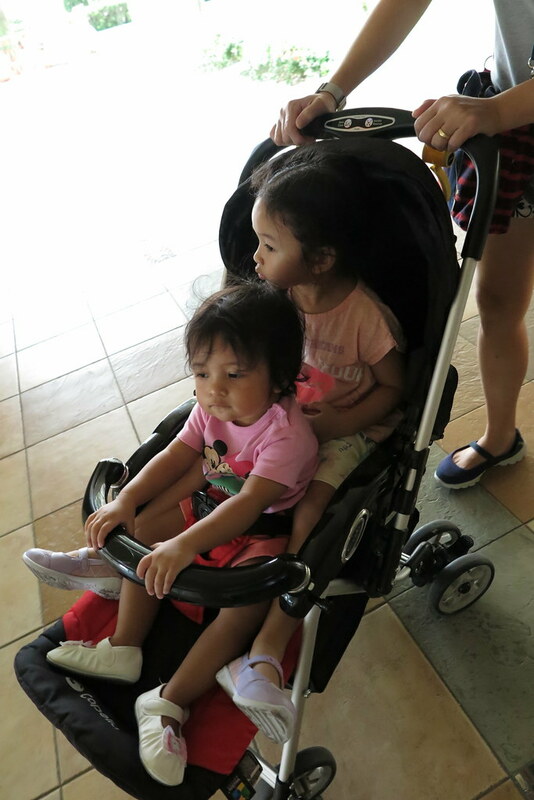 With plans to do away with our family car due to the little use for it these days, and the convenience of the LRT and MRT right from our doorstep, we may just get one double stroller next year! Now that we’ve tried the City Select, hope to try out other options before we decide which to invest in. 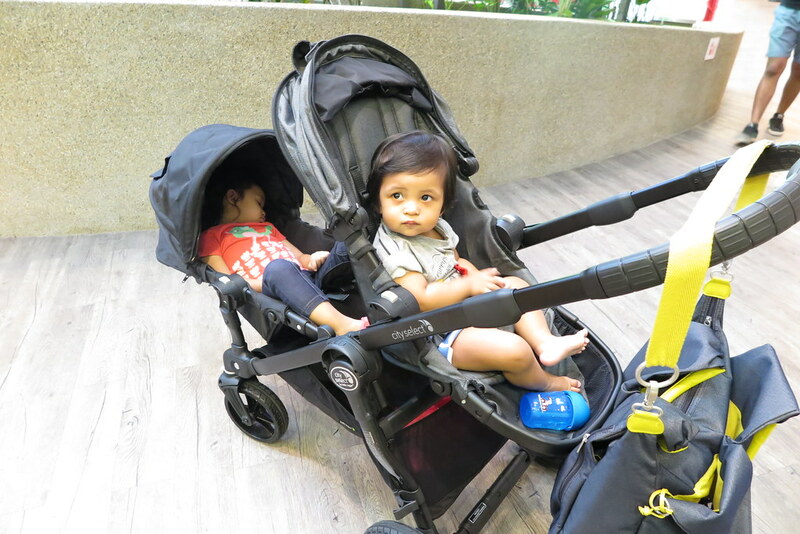 How I wish there was a stroller rental service in Singapore that rents out all of Baby Jogger strollers! Previous Post Brighten Up Your Bathroom With A Pretty Flower, One That Rains!